This is a common question that dog owners ask each other. You probably have been asked and also asked this question before. And you’d hear a lot of different answers from brands of commercial pet food, to raw diet, and homecooked meals. So let’s talk about homecooked meals for our furry friends. With all the commercial pet foods available to us, why are many people now choosing to cook for their dogs? 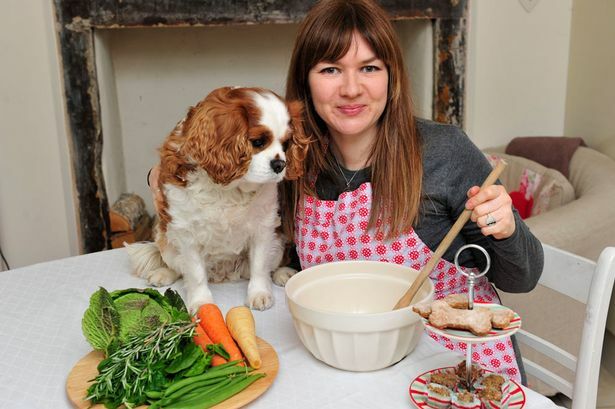 Dog parent whipping up a meal for her dog. Personally speaking, the reason I started looking into homecooked meals for my dog is because I got concerned about the quality of commercial dog food. I started wondering what is really inside the big bag of dry kibble I give to my furry companion every single day. And it turns out, I wasn’t alone. So I started digging and here are some of the important things I found. Unlike the food, we (humans) eat, there is very little government regulation when it comes to the quality of pet food. But what about the USDA, FDA, or AAFCO? 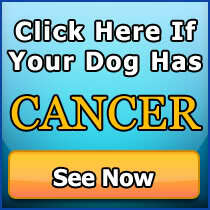 Surprisingly they do not control what pet food manufacturers put in their products. So dog owners like us would have to put our faith in the private pet food manufacturers – that they are telling us the truth and that whatever it is they have written on their labels are actually what they have put in their products. Although each state decides on pet food regulations and there are certain codes in existence for each state, these codes do not pertain to overall quality, absorbability, and digestibility of commercial pet foods. 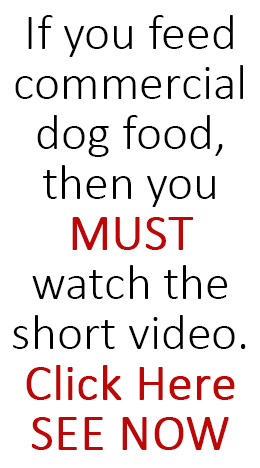 For many dog owners, this loose regulation is concerning and for dog owners like me who have had bad experience with feeding commercial pet food to their beloved furry family member, this just won’t do. The fact that some dog owners have reported that commercial pet food brands that have been recommended by their veterinarians have either not live up to their marketing claims or even more concerning, have caused health problems in pets, makes us doubtful of the quality of commercial pet foods. I am not saying that all commercial pet food is bad. For sure there are still good quality ones out there, but a growing number of pet owners are not that trusting of the pet food industry anymore and have decided to start learning how to make their pet’s food at home. When you feed homecooked meals to your dog, you know exactly what’s in their food. Unlike, commercial pet food, you’re not really sure what’s in them. Of course, reading the ingredient label would help. But here’s what I found out. Most commercial dog food use inferior ingredients. For example, a lot of dog food brands use corn as its main source of protein. The problem here is that corn is not a complete protein source. It is a low quality source of protein. And dogs actually can have problems digesting grains. So why is it that the majority of dog food brands list a number of grains in their ingredients? Here’s what I know. Grains such as corn are cheap. So you draw your own conclusion. Another inferior and even questionable ingredient I see in most commercial dog food brands is meat by products. What exactly is this ingredient? Meat by products are leftover parts of a slaughtered animal after the meat has been removed from the bone. So why is it such a questionable ingredient? It can include 4D animals (Dead, Dying, Diseased or Disabled), roadkill, and even euthanized zoo and pet animals. Yes, you’re reading that right. Doubtful of this information? Then check this out. So by preparing your furry companion’s meals, you know exactly what’s in it. The vast majority of commercial dog foods even the high end ones contain chemicals, preservatives, food dyes and other additives that can actually be harmful to your dog’s health. For example Propylene glycol, which is used as an antifreeze and has been banned on cat foods by the FDA because of its proven risk of blood toxicity is still used in dog food. Both BHA and BHT are suspected to cause cancer and have been banned in baby products in the US and have been banned in human products in many countries are still added in commercial dog food. The same is true with the chemical called ethoxyquin. Before you switch your dog to homecooked meals, you should see to it you would be doing it right. Right here means balanced. Even if you have good intentions going the homecooked meals route, if the homecooked meals you serve to your dog is unbalanced then you’d be compromising your furry companion’s health. So how do you make sure that you get it right? 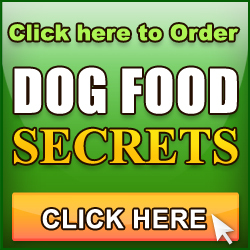 You can also get our book, Dog Food Secrets already on its 5th Edition. We’ve done the research for you and we’ve provided healthy and balanced recipes on the book as well. Here’s to the well-being and happiness of your dog!